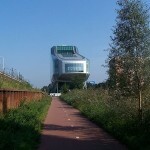 The ING House is a cool attraction in Amsterdam, though it is quite a distance from the city center and for example Amsterdam Centraal. 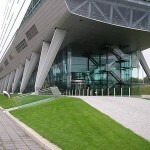 The building is the main office of the ING Group in the Netherlands, and it is shaped as a shoe! 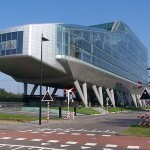 The building was designed by Amsterdam-based Meyer and Van Schooten Architects. 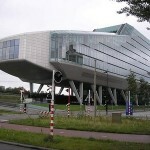 The building is 28 meters wide, 138 meters long and at the highest point of its 10 floors, 48 meters tall.